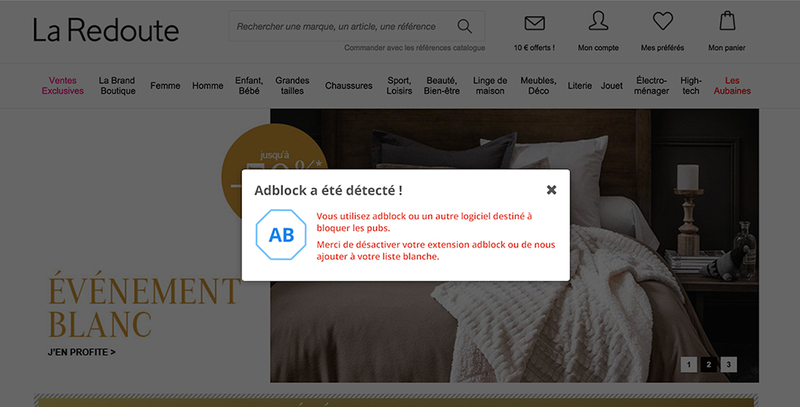 When an ad blocker is detected on a visitor’s browser, you can display a message to invite him to disable that extension. Or just track down the action to keep the information. Your message may appear as a pop-in or a sticky block. Select the one that seems best for you. The examples below (and available on the right of the configuration page) can help you. Fill in these fields to add a title and a content to the message. Kameleoon suggests you texts by default but you can also write a custom message. You can then format the message text by adjusting its size, color and background color. A vignette can be added to the left of the test. If you do not want to display it, click on “No image associated”. 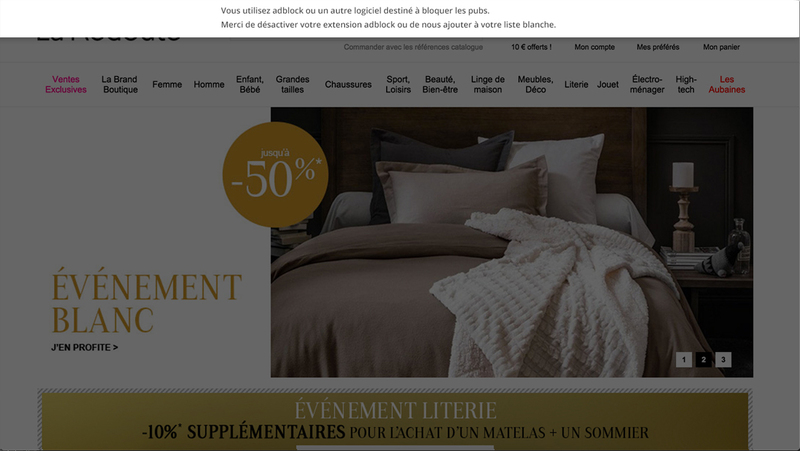 If you want to use the preset Adblock logo, select “Image by default”. To add a customized image instead, click on “Customized Image” and load it in the inset that appears. The pop-in should be placed on your page: use the arrows to select the center, a side area or a corner. To indicate a specific position, click on “Advanced” and enter the coordinates on both X and Y axis. Record information: check to measure and memorize the amount of visitors in this situation; you can filter the results of your experiment with this criteria. A preview command is available at the bottom of the page. Click on “Preview” to display your message as it will appear on your site. You can then validate or make changes until you get the perfect widget.